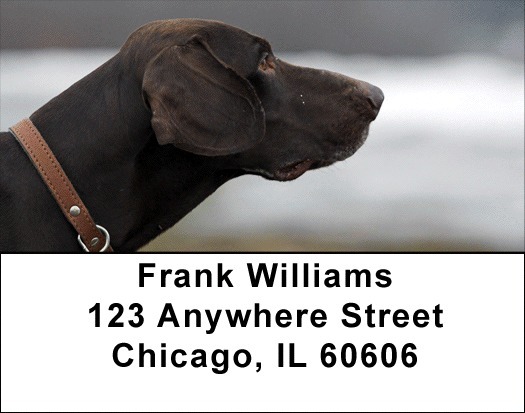 "German Shorthair Pointer Address Labels" product is already in your cart. German Shorthair Pointer Address Labels feature four rotating pictures of this hunting dog in candid shots and playful action. Developed in the 1800 for hunting and retrieving game, these dogs have floppy ears and strong hind legs that allow them to move rapidly and turn quickly. German Shorthair Pointer Address labels are self adhesive. Matching checks are also available.